$1,000,000 view at less than 1/2 the price. 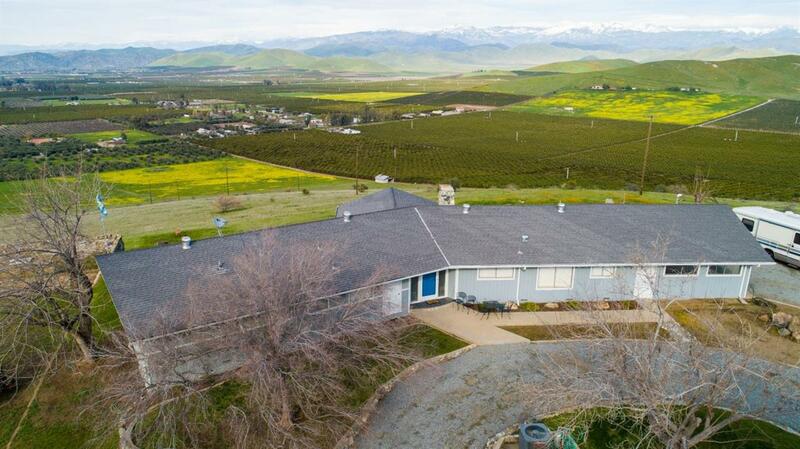 This hilltop 20+ ac offers 360 views of the sierras and the San Joaquin valley. Your imagination is the only limitation on what could be done with this spectacular property. Rarely do hilltop site come available. SO, if you have a dream of being KING of the MOUNTAIN...this is it. The home features abundant windows with views from every room. The guest cabin would make a great 2nd residence. The land is ripe for planting Citrus or pasturing livestock. Pioneer water stock may be available at an additional cost. CALL your REALTOR today to see this EXTRAORDINARY. property.